Happy first day of autumn! I'm ready for jeans and long-sleeved shirts, how about you? 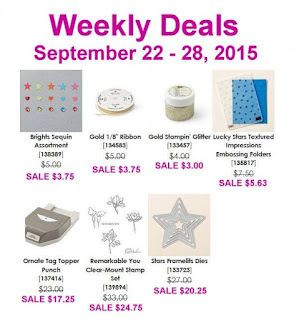 I was so excited to see this week's deals! 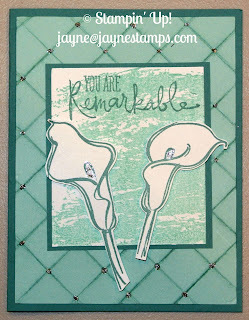 I've had the Remarkable You stamp set on my wish list for awhile now. It's been ordered and is on its way to live at my house now! 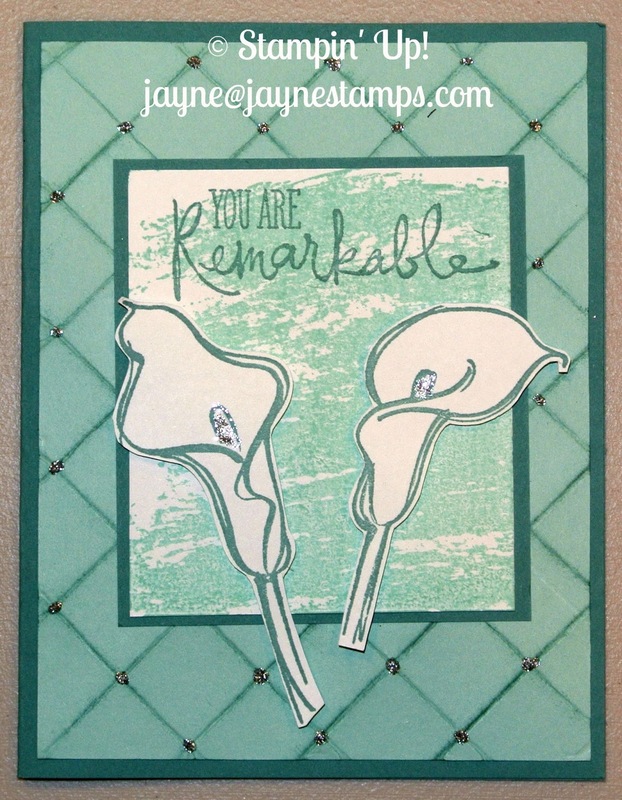 I have some cards that feature the Remarkable You stamp set, just in case you haven't been convinced to get yours yet. 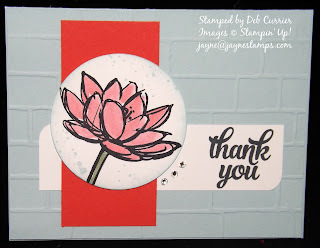 Susan Nygaard design this card. Those of us who attended Ronda Wade's Creative Convention last month were able to make this as one of our projects. The background is cardstock that is scored using the Simply Scored tool and the Diagonal Plate. After scoring the cardstock, you fold on each line and sponge along the edge. The finishing touch was adding Silver Sparkle Dazzling Details at every intersection of lines. It's not difficult, but it looks so amazing! The flowers were stamped, fussy cut, and then placed on top with Dimensionals. Deb Currier made this card. Besides highlighting the flower by coloring it, she added words from the Tin of Cards stamp set, and used the new Brick Wall embossing folder to give the back of the card some texture. The last card was made by Cindy Westerink. 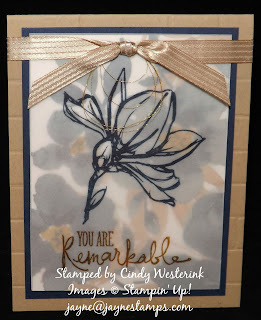 She stamped the flower in Night of Navy on White Vellum cardstock. She backed it with a piece of the English Garden DSP, put that on Night of Navy cardstock, and then layered everything on Crumb Cake cardstock that was embossed with the Brick Wall TIEF. She topped the whole thing off with Crumb Cake 3/8" Stitched Satin Ribbon and Gold Metallic Thread. 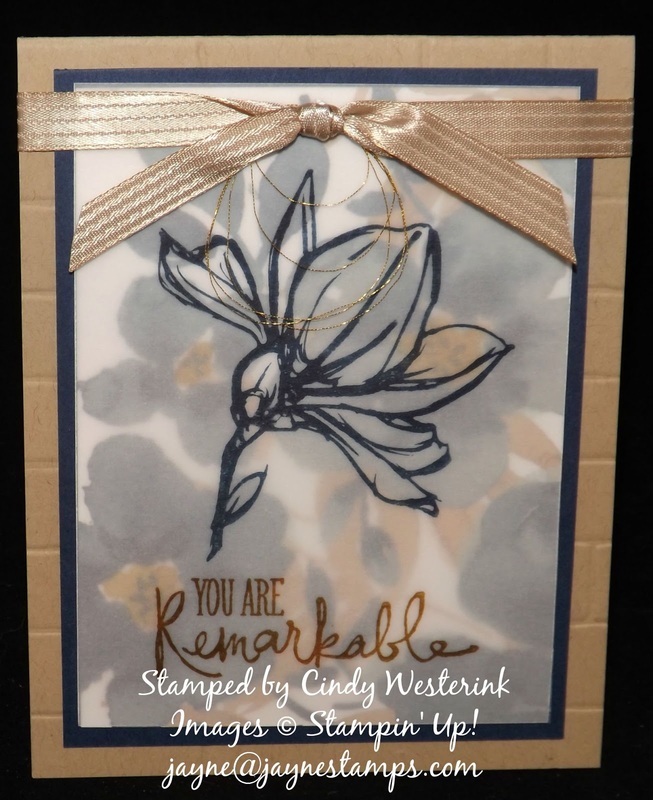 Now you see that you NEED your own Remarkable You stamp set, right? If you order it by September 28, you can get it for 25% off! If you'd like to order any of the products listed, you can contact me or order online at the "Shop Now" link below.